I remember the day the music was born. 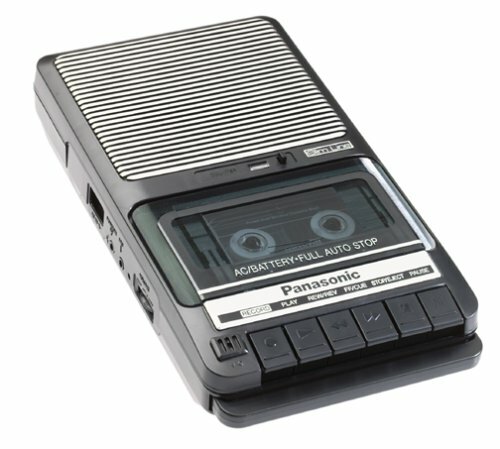 It was December 25th 1978 and my parents had just given me a cassette recorder for Christmas. 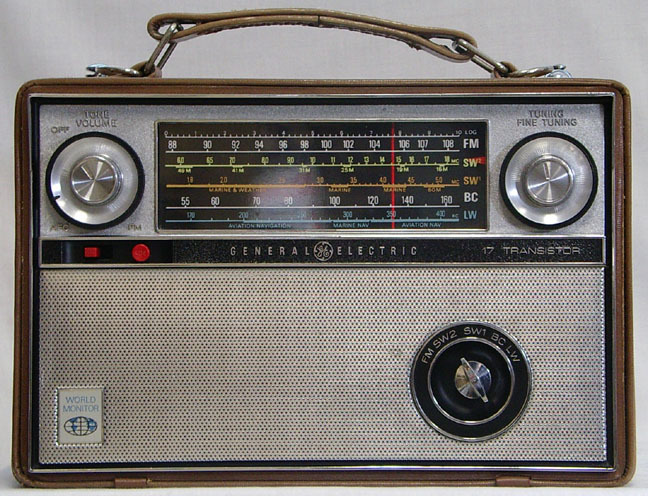 I tried recording theme music from the TV but soon gravitated to my little transistor radio and the local independent radio station – Pennine Radio – in Bradford in the North of England. The DJ was one Julius K Scragg; I have never heard of him since but he rocked. He was reviewing the year’s music: Grease had been the Word and Love had been Unkind. I was hooked. I’m sure I still have that first tape today locked away in an attic somewhere. You can even hear my dad in the background yelling at me to turn the music down. From them on I’ve surfed the airwaves wherever I’ve been. Why radio? Well, it’s not as distracting as TV (I did my homework to it), it’s more portable and leaves more to your imagination. 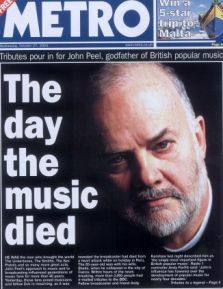 Being in the UK, I listed to BBC Radio One – to David “Kid” Jensen and to the Late John Peel. I also found the pirate radio station Radio Luxembourg and remember one particular occasion when listening to Stuart Henry, who unbeknown to me had multiple sclerosis. I knew that he slurred his words and that his slurring was getting worse, but one night he just stopped talking mid-show and never appeared on radio again. Up until earlier this year I had assumed that he’d died on air, but he actually died a good few years’ later. Other radio DJs I admired were Andy Kershaw, who first exposed me to world music and Annie Nightingale, who DJ’d an eclectic request show is currently the longest serving female DJ on British radio. At university in Manchester I listened to Piccadilly Radio, supplementing my “homework” on a Sunday evening listening to the emerging House music scene and the Hip hop show. In my first job in London, I tuned in to another pirate radio station, Kiss FM, the only station at the time playing Acid House. My cassette recorder had evolved into a radio-cassette recorder. I accumulated hundreds of tapes of my favourite music, enabled by pressing “play “, then “pause” then “pause” again when I heard a tune I liked. Many of them I would edit out the DJ’s intro and “outro”. Fast forward twenty years to the present and I’m living in Melbourne Australia and listening to independent community radio station Radio 3RRR. It is commercial-free and plays an eclectic range of music, from lounge to hip-hop, together with a variety of chat shows. Triple R started in 1976 within RMIT University in Melbourne and has since grown to one of the largest independent, subscriber-based radio stations in the world. It does not receive any government funding. Once a year in August, it holds a week-long Radiothon subscriber drive which begins this year on the 15th. The theme for this year’s Radiothon is “Local and Vocal Radio” to emphasise its place in the Melbourne community. Having said that, anyone in the world with a digital radio can listen to current or past shows. My favourites are The Skullcave with Stephen Walker on a Friday evening and Vital Bits with Tim Thorpe on weekend mornings. Occasionally, while trapped in a taxi, I am reminded what the alternative is: commercial radio with its short, repetitive play lists, opinionated DJs and endless banal advertisements. You can keep it; I’m going local and independent. I am also playing my own small part in the 3RRR family. In addition to being a paid-up subscriber, I am a regular co-presenter on the Sunday science show Einstein A Go-Go. I am a tiny part of what I love. I also recently found a great, themed request show on another local community station – Centrelinked on North West FM and like the in old days, I still get a kick out of hearing them play my song. And do I have a “secret” ambition to host my own show one day? You bet. However, for now, I’ll stick with listening to the radio. Morning, afternoon and evening. Hi Dr Chromo – I’ve just obtained 40 minutes of one of Julius K Scragg’s afternoon shows on CD ! It’s from 12th April 1976. I’m listening to it now, so at least I know what he sounds like. So, you’re living in Melbourne? I was there about three months ago as well as Sydney visiting a couple of friends who used to live in London. I can identify with your radio experiences as a teenager. I lived in the Midlands and, though I had no ILR for where I lived I could pull in Beacon, BRMB and Trent. Beacon was amazing because it was modelled on an American-style format for its first three years (the management were sacked in 1979 as a result and the station became unrecognisable. Anyway, back to Scraggy now ! Hi Maark – interesting to hear that you managed to get a recording of Julius K Scragg. Early audio of Pennine is difficult to get hold of, though there are plenty available of other ILRs including Beacon. Is there any possibility of putting the recording of Julius online ?